Settle down for the last day of study - short, 'pomodoro' study sessions work really well at this stage. Image by David Joyce. See also the previous post, "A week until the exam". Clearly having only a day or two to go until your exam is not ideal, but at some point, we all get to the stage where there is very little time left. Whether you have been working systematically through your learning and revision all year or have left it all a bit too late, there are still several important things that you can do at this stage. The following applies to the final day before the exam and will be expressed as such, although if you are planning ahead, these revision tasks would be best begun with two days to go! Your main focus at this stage should be on dividing up the remaining available study time into short, focused blocks of around 25 minutes, with short breaks in between (i.e. using the pomodoro technique). Write this schedule down, with the timings of each of the study sessions you can fit in during the day—doing so will only take a few minutes, and the external written list of times will help you to stick to the plan (as will setting a countdown timer on your phone for each session). Allow a decent amount of time for meal breaks, though. And don’t plan on either getting an early night or staying up late—neither of these things will help. Make sure your study space is comfortable and quiet, that you have water and snacks to hand, and use the five-minute breaks in between sessions to get a bit of exercise (even just walking outside for some fresh air and back again). 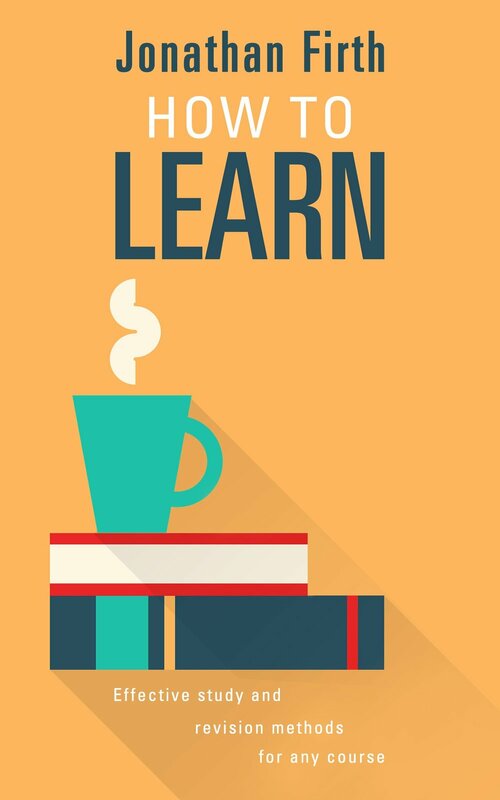 You can’t relearn your course in a day, but you can familiarise yourself with the exam format in that time. From my own teaching experience, I feel that exam technique can make as much as a 10% difference to a student’s eventual grade. Therefore, even with such a short time to go, it’s worth using the first of your study sessions to look over the format of the exam (if that information is available), and check that you know all of the key details: how long the exam paper is, how many marks each section is worth, what is mandatory and what is optional, and so on. Take notes of these details as you go, and look over them all one more time just before the exam starts. Later in the day you will be doing exam practice which will consolidate this new understanding (it’s also worth double checking where and when the exam is, if you’re not sure). For your remaining study sessions in the morning before the exam, you should focus on rapid-fire retrieval of key terms and concept knowledge. For all types of exam, it’s going to be really valuable to work through these key terms and test yourself. Granted, this is cramming, and not the best way to learn over the long-term, but with a day to go it’s your most effective option, and when you make use of retrieval practice it will result in some real gains (in contrast to passive activities such as re-reading class notes or highlighting textbook chapters). The main focus should be testing yourself using flashcards, practice questions, or other sets of course content–you may be able to find ready-made sets of flashcards on Quizlet.com if you haven’t previously prepared any (or substitute a detailed list of key terms). In each of your 25-minute study sessions, work through a set of flashcards, a set of multiple choice questions, testing yourself until you get all of the answers right. As you get the answer to each flashcard correct, put it to one side, so that you have a gradually decreasing bundle left in your hands. Keep going until you have got every answer correct at least once. With terms and definitions, it is a good idea to start with the definitions (i.e. recalling the terms) and then switching the sides of the cards in order to do the more challenging task of remembering the definitions from looking at the term. This means you will go through all of them again, retrieving key information from memory once more. As the day goes on, you might want to switch to a more exam-specific strategy. One excellent option would be to work through all of your flashcards in the morning (shuffle them all together, to gain the benefits of interleaved practice) and then move on to practicing specific exam-style questions later. For exam papers which are made up partly or entirely of short-answer or multiple-choice questions, you should now be in a position to answer such questions quickly and confidently, having just revised the key terms that morning. Do so without referring to your notes, to ensure that you are actively drawing on memory (yes, it may feel uncomfortable, but it’s much more beneficial!). Check through all your answers (assuming answers are freely available; if unavailable, contact a friend or use Google). If there were any that you found a struggle to answer, check these particularly carefully—you will learn a lot from tackling the gaps, for if the same question comes up in tomorrow’s exam, your revision session will be recent enough in mind that you should have a clear episodic memory of struggling with the question and then looking up the answer. There may be a few areas that you still really struggle with even after going through practice questions, and for these it would be worth creating simple verbal or visual mnemonics. For exam papers that involve writing more extended answers, take a few minutes at the start of each of the afternoon’s short study sessions to look at practice questions/past paper questions on that topic, paying attention to any key command term used (e.g. describe, evaluate). This can make a major difference to the outcome, and it’s worth noting which ones come up most often. If you don’t already have a set of practice questions, it’s probably too late to get teacher/lecturer advice on this, but use social media to ask your classmates—the chances are, someone has already compiled a list and will be willing to share it with you. Again, answering these questions is most valuable without referring to your notes, but do check your answers at the end of the study session. If you’re going to be dealing with full-length essay questions then clearly you won’t have time to write a practice answer to every possible question in a single afternoon. However, you can pick some of the most likely ones to come up, covering all the possible sub-topics. In each study session you should write a detailed plan that lists what would go into an essay answer, dividing the essay up paragraph by paragraph. If available, refer to model essay answers, considering details such how they set out an introduction, how many paragraphs they have, how long they are overall in terms of word count, and how much detail is given in the supporting evidence used. Ensuring that you are clear on the format of the exam. A final run-though of key terms and concepts, testing yourself on flashcards. Doing practice exam questions and/or detailed essay plans. A degree of prioritising among possible topics.